TP-LINK routers are best sellers on Amazon, and I like my new one a LOT. I had a 5-year old Vizio router that did yeoman’s service, but had started to drop connections and in general behave like an amnesiac hash addict. I liked the reviews, which said that TP-LINK routers were dead easy to set up. I have a Mac Mini that operates as a home server, and I had some nonstandard configuration issues to deal with. Turns out that there were 3 issues. First, I couldn’t get to the router configuration page on a browser. I had to clone the previous MAC address, and finally, I had static internal IPs set on most of my devices in the house including the machine I was installing the router on. So, here are the easy steps to fix it if you have plugged in a TP-LINK router on a Mac home network and you can’t get it set up. Go into Network Preferences. Open your ethernet connection and go to TCP/IP. Clear the manual setting from your DHCP, and permit the machine to be assigned an internal IP from the DHCP server in the router. Hit 192.168.1.1 in your browser. This should theoretically get you to the router config page. It worked for me. That’s the default IP for TP-LINK. 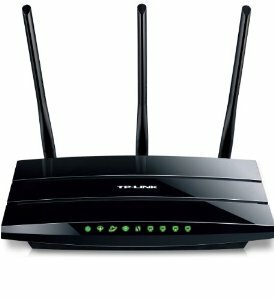 admin/admin are the un/pw for TP-LINK. Keep a browser window open so you can see whether you’ve got a connection. If you do, good. You’re fine to set static IPs/MAC bindings. If not, try cloning the MAC. Go to the MAC settings in the router config, hit the “clone” button, save, and reboot the router. Does it work yet? If not, add a static IP for the box you’re working on while configuring the router. Hard cycle the router and modem. Set static IPs and MAC bindings. I’ll keep updating these instructions. I’m assuming you know to set a different un/pw for your router if you’re actually able to follow these instructions. Per the usual, 18 months from now, I’ll reset the router and totally forget how I got it working, so this post is more for me than all y’all.